The Internet abounds with offers for a free credit score – as long as you remember to cancel the automatic membership and charge to your credit card charge within two weeks. Enter a new player in the industry offering unlimited credit scores, the ability to track your credit over time, and resources that will help you improve your score too – all without any fees. Instead, along with your credit score, CreditKarma.com serves up targeted credit card, home loan, or car insurance offers – customized to your credit score. Some of CreditKarma.com’s products are offered to affiliate marketers as well, so if you have a website audience that might benefit from credit scores or credit cards, watch this interview to learn more. Stacy Wakefield is director of affiliate marketing at CreditKarma.com, an online service that provides free credit scores, tools to track and improve your score, and finance-related offers based on scores. Michael Cyger: Hey everyone. My name is Michael Cyger, and I’m the Publisher of DomainSherpa.com – the website where you come to learn how to become a more successful domain name entrepreneur and investor directly from the experts. Since the economic recession hit in 2008, many of us have had to reevaluate our financial situation. Do we find a different job? Rent an apartment? Buy a house? Lease a car? In every one of those cases, our credit score may be a limiting factor. Finding out your credit score is relatively easy to do. Each one of us can go to one of the three major credit scoring agencies and I believe you can get one free credit report per year from one of the agencies; but there is a newcomer to the credit score industry that is shaking things up a bit. We are going to learn how their business works and, more importantly, how their credit score, financial products, and affiliate program might help domain name entrepreneurs and marketers earn more in their businesses. 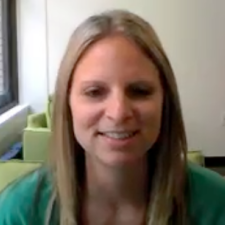 Today we are joined by Stacy Wakefield – Director of Affiliate Marketing for CreditKarma.com. Stacy, welcome to the show. Stacy Wakefield: Hi Mike. Thanks for having me on. Michael: So, for the audience that has never heard of CreditKarma.com yet, how would you describe it in a nutshell? Stacy: So, CreditKarma is the first truly free credit score company. What we do is we let users through CreditKarma come onto the site and give us some basic information. And we also, once they get registered, we never ask them for their credit card number, which all the other credit score companies do. And then they give you a fourteen-day trial; after the fourteen days is up, they end up charging you fifteen dollars a month. And then, as you know, it’s very hard to get out of that trial. Stacy: So, ours is free the entire time. And once they get signed up, then we end up giving them a lot of tools that they can access, and a free credit score, and a credit report card amongst other things. Michael: How long has CreditKarma been operating? Michael: Okay. So you have been around for a while now. Michael: How does the business model work given that other sites are selling credit reports? Exactly as you mentioned, I may get my credit report for free, but I have to remember to cancel my subscription. You guy do not do that. How does your business model work? Stacy: We make our money solely on advertising. Once you become a member, we offer a lot of tools; but in addition to the tools that we offer you, we also show you different financial products that are relevant to you based on what we know about your credit history and your credit score. So, if we know that you have a certain credit score, we are going to only offer you financial services products that meet your credit profile. So, a lot of times, we will show people a credit card that they are likely to be approved for. And we also give auto loans. We do home loans. Savings accounts. Auto insurance. So just a lot of different financial services products. Those products are advertised on our site and then, when a user interacts and takes an offer or clicks potentially, we get paid and we are fully funded through advertising. Michael: Got you. So, is it actually advertising or is it advertising for lead generation and then you get compensated for every lead that comes through? Stacy: It is both. We do have some advertising that is like an actual CPM, but it is mostly lead gen.
Michael: Okay. And all financial products. Your whole business is built off of the credit score, so everybody that you work with is interested in getting more business related to some sort of financial – the home loan, the auto insurance, the life insurance, like you mentioned – and it is all tied to their credit score. So, you are taking an entirely different new look at delivering leads based on a new service that you are offering that I don’t think anybody else in the market is offering. Stacy: Yeah. That is true. Michael: Fantastic. So, as a business, are you going after a specific demographic? Can you say, “We go after men and women between twenty-five and thirty-five because they are worth the most” or do you pretty much go after everybody because you have products to serve in every single – financial, age, marital status – demographic? Stacy: We pretty much go after everyone. CreditKarma gets a lot of its members through PR. So, we do PR across the general population. It has really helped us get the brand out there and create a strong brand for us. So, we feel like we really try to cater all of Americans. And of course our products help people improve their credit score. With the tools that we offer, it really helps those who are looking to improve their credit score. A lot of times, people come to us because they want a better credit score. So, of course, I think that the demographic is not just those with excellent credit or just those with poor credit, but also mostly those that are wanting to learn more about their credit and how they can improve it. Michael: Yeah. Definitely. So if I’m interested in buying a car someday and I know that I maybe had a bankruptcy in the past or maybe I haven’t had the best credit because I paid off my credit cards late, I can come in, sign up for the system, and then actually monitor my credit over time, use some of the resources that you have for improving my credit score, and watch it go up in time. Stacy: So, credit monitoring is something that we just started in January. It has helped us grow our business a lot. With credit monitoring, we give you credit alerts. And then we have a mobile app that just came out a little over a month ago I believe. It has been very successful in the iTunes Store as one of the free apps in the iTunes Store; but what we do is send you real alerts on your iPhone, and that is really helping people monitor their credit through their cell phone now. Michael: And is credit monitoring a free service that you offer as well? Michael: Wow. All right. Okay. So, I get how all of that is working and, until you recommended, I had never heard of CreditKarma before. So, you have been around for 5+ years. To give our audience an idea of how big CreditKarma is, can you talk about the annual revenue of CreditKarma? Stacy: I can’t give you actual revenue numbers. To give you a size of how big we are, we now have over seven million registered users of CreditKarma. So, that gives you a sense. I mean there is seven million people interested in their credit scores in the financial services space and we have those people now using our product and engaging in the product on a regular basis. Michael: Yeah. Seven million is enormous. So, those are the number of people that have come to your site, entered in their name, their previous addresses, their last four digits of their social security number, and created an account to view their credit scores. Michael: Great. And you mentioned that you have how-to information and that you have resources on how people can improve their credit score. Do you also market to them through e-mails? If I come and sign up, do I now become part of your e-mail distribution list? Stacy: Yeah. So, whenever you sign up for CreditKarma, there is an opt-in for e-mails. I think there are like three different options. Like you can opt-in to receive special promotions or credit alerts. Those different things. We do not do a lot of e-mail marketing at the moment. Of course, I think we might do a little bit more in the future, but I am not really sure what the plan is for that; but it definitely an option we have. Michael: Great. All right. So, seven million registered users. We can’t talk about the revenue. Are you guys profitable? Stacy: Well, I can’t really go over that either because, of course, we are still private; but we are definitely a successful company. Yes. Michael: Okay. And CreditKarma.com, from my research, was not bootstrapped. You guys took investment. Is that correct? Stacy: Yes, we did. We were venture backed. Michael: Okay. And so, you have seven million registered users. We all know that not all of them are coming back on a regular basis. How many unique visitors per month do you have to CreditKarma.com? Stacy: I think there are about two million and we are growing every month. We have been growing a lot since January. The business, after we introduced monitoring, really took off; and since then, we have just been growing at a nice pace. Michael: Yeah. So, there is the fire engine that you mentioned that was probably going to happen during the interview, right, Stacy? Stacy: Downtown San Francisco. You can always count on fire engines coming by. Okay. I think it has passed. Michael: All right. Excellent. So, just for the listeners that are listening to this interview via MP3, the fire engine has passed Downtown San Francisco. All right. So, two million unique visitors per month. Thirty-two million page views. I went to Compete.com and I looked at your unique visitors over time and it has been consistently growing. There are some big leaps in some months. What would you attribute that consistent traffic growth of CreditKarma.com to? Stacy: I mean I think that CreditKarma is consistently reinvesting in our business and we are constantly developing new technology. And whenever we make more money, we are doing more to get more visitors, to improve our technology, and just build a better business. And I also think that just probably a lot of word of mouth has been helping us. Like every time I tell people where I work or we talk about CreditKarma, everybody is like: “Oh, I like your product. I love what you guys are doing and I love that it really is free. I don’t have to sign up to get a free credit score and then make sure I cancel it fourteen days later anymore. I can just continue to go back to you guys and you are actually showing me how to improve my score, and what happens if I get a new credit card, and all those different things”. So, people are really enjoying our products; and I think that is what is helping us grow so much. Michael: Excellent. So, I wanted to thank the person who recommended that I speak to your company. His name is Nathan Skousen. He is with GoDaddy, and he saw your commercial, I think, on TV or maybe it was YouTube – I watched it on YouTube – and he loved it. So, Nathan, thanks. Michael: So, let me ask you one more question before we dive into the affiliate part of CreditKarma and how people can work with you. I am fascinated with this business model because it has completely changed what everybody else was doing. How do you think CreditKarma has impacted the credit scoring industry? Stacy: I think that the companies are realizing that there is more that they can do for the consumers. Once they sign these people up, they can really do things to help them build their credit rather than just showing them a report that gives them all the information. There are offers they can show to them. So, I think that we are really helping build the awareness that everybody really deserves a free credit score and that they deserve free credit monitoring as well. So, hopefully, there will be more people who sign onto us and the other companies like (Unclear 14:32.1) and realize that this is really the business model to have. Michael: Yeah. And I love the way that you are looking at it from the consumer’s standpoint. I think it is so easy, in old industries that have been around for a decade or two decades, to forget about the customer and say, “This is what we offer. This is all we offer. Here is your credit report if you want it. If you don’t, fine. Somebody else will want it”. And it is nice to have new companies come in and reevaluate how consumers actually want to be interacted with; and you are taking the viewpoint that we are going to help you look at your score, improve your score, monitor your score, and that makes a lot of sense. All right. So, let’s get into the process here. Your title is Director of Affiliate Marketing, so you offer affiliate programs. Can you talk about what kind of programs you offer currently? Stacy: Yes. So, we offer two affiliate programs. We have the affiliate program that is the CreditKarma main product, which is our scores. So, if you own a website and you feel like you have relevant traffic to credit scores – people looking to get their free credit score -, then you can advertise CreditKarma on your site. They will write a review and we will actually pay you for every registered user that you sent to us. So, that is one component of our affiliate network. The second component is our credit cards affiliate network. As you probably know, I mean credit cards is a huge industry and people are constantly searching for new credit cards and looking for ways to compare credit cards. And at CreditKarma, the main offer that we give to our users is credit cards because, whenever you go and apply for a credit card, they determine if you are going to get approved for that card based on your credit score. So it makes the most sense for us to show people a credit card that they are likely to get approved for because, when you sign up for a credit card and you get denied, it goes on your credit score as a credit hit. Stacy: I wouldn’t necessarily say credit hit, but it is a hard inquiry on your credit; and too many of those can negatively impact your credit score. So, when you apply, you want to get approved so that you can increase your credit line, which increases your credit utilization and all that stuff. So, because we do so well monetizing CreditKarma with credit cards, we have great relationships with all the major card issuers. We work with Chase, Capital One, Citi, Discover, and Amex. Those big five and some other smaller issuers that we have decided that it makes sense for us to take the way that we display credits cards and offer that to other credit card comparison sites or credit card domains. And we feel like what we offer around our credit cards – the information we give to help the consumer choose the right credit card – is another way we are going to change the market a little bit. Because CreditKarma does so well in credit cards, we have a lot of our members who have done cardholder reviews on each credit card and then we also now display that on each credit card that we give to our affiliates. So, that just helps the affiliates convert their clicks to approvals even better; because they are getting paid on the approval. Michael: Definitely. All right. So you have two main products. One is the credit scores. And so, let’s tackle these individually. Let’s say that DomainSherpa. I have users that want to get their credit score for some reason. I can write a review or I can provide a link and it will go directly to CreditKarma.com with my affiliate link; and if anybody signs up, then I get a commission as an affiliate. Stacy: Correct. We call it a Credit Success. So, that means that, if somebody signs up and we have successfully been able to pull their credit, then you get paid for that lead. Michael: Okay. So that sounds pretty easy. Is there any other way to do that? Can I create like a DomainSherpa process where it is co-branded on the CreditKarma.com website? Stacy: Sure. So, every affiliate gets a unique link. And we have a system set up where we can go in and take your logo and put it on that landing page so that, when they get to our site, they can tell that we are in partnership together. Michael: Oh nice. Okay. Great. And then, if they then sign up, it’s considered a credit success and then I get compensated. Am I compensated immediately or do they actually have to take part in some sort of action like a lead action or anything for me to be compensated? Stacy: No. I mean, of course, there is a thirty-day payment period time. Stacy: But yeah, you are compensated. We send out reports telling you how many leads you have generated everyday. And then, at the end of the month, you will get a total report and we pay you. Michael: Excellent. And how much can I earn per credit success that comes through? Stacy: It really varies. I would rather that be kind of a conversation that I have with each affiliate directly. It depends on the quality of the people that they are sending to us, but I could say it ranges anywhere from a couple dollars to a few more than that. So, it just depends on the quality. Michael: Okay. All right. That makes sense. And so, is it more worthwhile to have lower credit people or higher credit people signing up? Am I compensated more if somebody makes a million dollars a year or twenty thousand dollars a year? Stacy: You are compensated more if they are more engaged in the CreditKarma product. So, it is more of a lifetime value. We try to look at what is the lifetime value of the people that you are sending to us. Are they coming on and signing up, and then never signing onto CreditKarma again? Because maybe you incentivized the traffic and they were never really interested in the first place. We don’t want to pay very much for that traffic because it is probably not really worth anything to us. So, that is the kind of case where we really want to look at quality. And then, there are some cases where, if the websites has been really relevant to credit cards or very relevant to credit scores, then the lifetime value, of course, is going to be higher than if it might just be a banner ad that comes from a mommy website or something. Michael: All right. So, if I get my mom and my brother and my sister to go through my affiliate link and show up on your website, but they are not really interested; they are doing it as a favor to me. Then they are probably not going to have the lifetime value as apposed to if I am running a credit card website that publishes about credit card information. And you can determine that lifetime value within the first thirty days before you actually pay me for those leads? Stacy: No. So, when we sign up an affiliate, we will set you at the minimum CPL. And then, I’d say probably after sixty days, depending on how much traffic you are really sending us. We want to get a good sample size. Probably after thirty or sixty days, then we might change the terms of the agreement and give you a higher CPL. Michael: Got you. So you got to earn your way in basically. You are willing to try somebody, but they have to show you that they can actually deliver good consistent leads. You are not looking for a one-time relationship with DomainSherpa where I am going to get my users to come over and register just out of the goodness of their hearts. You want some sort of financial relationship tied to a website. Stacy: Right. We want to build a partnership with you where you are going to continue to advocate for us and send us good quality leads and we are going to continue to reward you for that. Michael: Makes perfect sense. Okay. So that is the credit score product and then, you offer credit cards as well. And you mentioned that you have relationships with all the major credit card companies and you also have user reviews, and you have the information organized. And I can take all of that information, put it directly on DomainSherpa, and say, “Hey users, here are some credit card offers if you need it”. And then, when they actually click on one of those, does that take them to you website or the credit card company’s website? Stacy: It takes them to the credit card company’s website so they can apply for the credit card directly from their website. That is really how the whole credit card industry works. Michael: Got you. And do I get compensated based on somebody clicking or based on somebody filling out that lead form when they have clicked through to the credit card company? Stacy: So, for credit cards, you get compensated when they actually get approved for the credit card. So, it is much further down the funnel. Some lead gen companies pay for the clicks; some pay for the lead. And credit card companies are much more picky. They actually just pay for the approval. Michael: Right. And actually, I get compensated more if it makes it all the way down the process and somebody is approved. Stacy: Yeah. You can get a really nice bounty for credit card approvals. Michael: Yeah. And so, without even talking about displaying credit card ads on a CPM, cost per thousand basis, or getting the clicks cost per click or cost per action type basis, filling out the lead form and actually getting approved, what is a range that people might expect if they committed to the approval for the credit card step? Stacy: So, that is a good question. It really varies. It is mostly based on the type of credit card that they are approved for. So, there are, basically, two types. There are sub-prime and prime. So, those people that have really good credit scores and those people with not so good credit scores. So, if you have a great credit score, then the card that you apply for and get approved for is probably one of the prime credit cards; and that CPA is going to be worth a lot more than if you have brand new credit, you are a student, or you are trying to rebuild your credit because you messed it up. So, it can range anywhere from twenty dollars to over a hundred. Michael: Wow, over a hundred. I was guessing that it was around twenty to fifty or so; but for people with prime, prime being the best. So, for somebody that needs a credit card, has great credit, signs up for a credit card offer through my affiliate link, I might be compensated as high as a hundred dollars per approval. Stacy: I mean I don’t want to give anybody a false hope. Michael: Well, it is hard to find those ideal people that have the perfect credit that need more credit, so sure. That is just bounding it. Makes perfect sense. So, earlier, I though you had mentioned that you have other offers like banking, or home loans, auto loans, and things like that. Do you have other products that you currently offer? Stacy: CreditKarma does have other products that we offer on the site. We do not have other products that we offer to affiliates. Stacy: So, now, in affiliates, we only have credit scores and credit cards. Michael: That makes sense. Do you plan on offering some of those other products to affiliates in the future? Stacy: At this time, I am not aware that we are; but I mean we will probably never say never. So we will just have to see how we do with that we have right now, but it is a possibility. I’m sure. Michael: Okay. So, for somebody that, let’s say, loves boating and they have a boating website and they know that there is a certain number of their users every year that will turn over their boats. It is like car people. They just can’t be satisfied with the cars or the boats that they have. They want to sell it and they want to buy the latest one or they want to buy a different one. And so, having a credit score when they need to go and finance that new boat or new car might be a great thing. So, somebody that operates one of these types of sites might find it useful to partner with you and provide credit scores to their users and maybe credit cards as well. Stacy: Yeah. Sure. There are so many different kinds of business models that someone could use to promote credit scores. Michael: Do you have another example of an affiliate that has been really successful? Not the specifics, but the type of business and how they integrate those offers into their website. Stacy: Yeah, of course. So, credit card comparison sites often seem to I don’t know if I would say do the best because I am sure there are some other channels that we have not tapped into yet, but I think that right now we are seeing that credit cards are doing really well. So, if you have a credit card comparison site and you want to tell people, if they do not know their credit score, to check it before they actually apply for a card, that seems to work really well. We also do well with car websites. So, if you have a car website. And people have so many questions to answer for themselves before they go and buy a car. Thinking about the type of loan that they are going to get and if they are going to get certain financing is really important. So, getting their credit score is a good thing to do before you buy a car. So, there are a lot of different types of financial sites. Another interesting business that works well with credit scores is people that are searching for apartments. So, if you are searching for an apartment and the landlord needs to run your credit, it makes sense to go to CreditKarma and get your free credit score. Michael: Yeah. Definitely. We have got an interview coming out. By the time this one comes out, it will have already come out. It is called MoneyCrashers.com, and we interviewed the CEO who talked about he built his website and how the domain name has played into it. And I think he would be a great candidate for an affiliate program with you because everybody on the website wants to learn how to better manage their personal finances. And you managed what you can’t measure, so getting an account with CreditKarma.com is a great way to start measuring it to figure out where you are. So, affiliate-wise, let’s say that MoneyCrashers.com wants to be an affiliate of yours. What are the minimum requirements that you think about as Director of Affiliate Marketing when you are evaluating whether somebody would be a good fit for your program? Stacy: Yeah. So, I think about it: is the site developed? And what is the look of the site? Does it look credible? Especially with credit cards, we have to submit the site to the issuers for their approval and they look at a lot of different things. They are saying, “Okay. Our brand is going to be on this site”, and CreditKarma is the same way when we do credit scores. Our brand is going to be on this site. Does it look like something that was put up in five minutes or does it look like they really invested a lot of time and effort into this site and it is going to be good for our brand? Of course, the traffic numbers are really important. I do not want to spend my time all day on little bitty sites that are not going to be very valuable in the long run, so I have to be a little bit selective sometimes choosing who to work with because we are a business and we have to make money here too. So, those are probably the two most important things that we are looking at. Michael: Yeah. Okay. That makes perfect sense. Credible. Trustworthy. You are putting your brand on it so you want to make sure that they represent you and credit card companies need to make sure that they have approved of it. In terms of traffic, is there sort of a guideline that you can offer that will help sort of weed the people that are watching this? Because a lot of domain investors have great domain names, but some of them are not developed. Maybe they own CreditCards.org and they want to put your offers on there, or they want to provide credit scores; but if they only get a thousand people per day, is that enough? Or a hundred people per day. Is that enough? Stacy: It really just depends on the type of site that it is and how they plan on implementing us. So, there might be a credit card website that ranks well in organic search under like the top credit card terms or some that are really nice long tail terms, but it might only have three thousand visitors a month. But the people that are going to go to that site are very relevant to credit cards and what we are looking for, so I would accept the site like that. If your site is specific where I know it is getting some traffic, that is very acceptable. For credit scores, for instance, if it is a site that is not specific to credit scores or credit cards, or maybe not even financial services, and it has somewhere around a hundred to a hundred and fifty thousand, then that is going to be something that I would look at; but maybe not a site that is like less than fifty thousand uniques a month. So, it really just depends on how relevant it is to the products. Michael: Yeah. More relevancy, even with lower traffic might convert very well, so you would look at those. So, it all depends on the topic and how relevant to your products as well as their traffic combined. Michael: Okay. That makes perfect sense. Wayne Nelson, our Producer here, signed up for his free credit report. Loved the ease of the signup process and the detailed recommendations that you made. He was wondering about when somebody comes through and they click on one of those offers, either on your website or maybe on one of your affiliate websites, is there a time limit to sending affiliates through there. So, for example, at Amazon.com, if I have a link to a book on their website, they will pay me if somebody clicks through and orders that book, but only in the first twenty-four hours of clicking. Do you have that same sort of cookie time limit if I click through on a credit card offer from a website? Stacy: Yeah. I believe it is only in the same session. So, if they do not click in the same session, then I believe it is not counted. Michael: Right. Okay. So you want to try and make it as important for people to signup right then so that they do not forget later, so that they do not forget where to go, or anything like that. Stacy: Yeah. And it is a really easy form. So, we typically see, depending on the relevancy of the site where the lead is coming from, thirty to forty percent click to lead rate on credit scores. Stacy: So it is a very good number. Michael: So, how else, Stacy, do you help affiliates be more successful if they do have a website that is somehow tied to financial and they want to become an affiliate of yours? Stacy: There are a lot of different things. I try to, first, just listen to what their experience is and what their goals are. And it really depends too on their site name; the traffic that they already have. And so, based on all those different things and I kind of just try to have a personal conversation with them about like, “This is what I think your potential is. This is how I feel like you can grow it based on my experience. And I would recommend that you try out these certain media channels to begin with”. If they have specific questions on like what companies to use, I can give some suggestions on that. I also try to help them determine the best placement on their site. There have definitely been times where I will create a mockup. Sometimes I will get my designers and sometimes I will do it myself. Stacy: But just to really show them how I think our offers will really work the best on their site. And it is also really interesting because some of the most creative implementations really come from the publishers themselves. And once I just let them have the code, then I am often pleasantly surprised with some of the ways that they think to market the products on their site. So I try not to be too controlling over how they want to push the offers. Michael: Yeah. Well, that is great because you have all of the insights, you know that you have this many affiliates in the system, and you are able to look on a daily or monthly basis who is actually converting the most customers, or who has the most credit successes. So you can go to their website and look at how they implemented it and then you can share those best practices with other people who might be in a similar situation or might be looking to drive more conversions. Stacy: Yeah. Exactly. And I try to set different benchmarks based on the type of sites that we have in our network and the types of traffic that they might have. So, all that stuff just kind of comes with time; and, of course, when there are new channels introduced, especially with credit scores, I mean I think that we do not even maybe know what are the different opportunities and channels that we can go after. But as we bring on more types of publishers with credit scores, it is gong to be interesting to see how those different benchmarks will change potentially. Michael: Definitely. And so, that is an interesting way to phrase it. You talk about bringing on publishers. A lot of people have monetized their domain names without building them out. They essentially land on a landing page that has offers that are presented through Google Adwords or something like that because a lot of the great domain names – the industry defining domain names – that people will type in directly without even searching for; they have not needed to develop them in the past. Do you offer any type of service where somebody can point a domain name at your server and you develop the website that is displayed at that point? Stacy: No. We do not really offer anything like that. I have been working with affiliates for four years now and I find that the best affiliates come from those who maybe started out with a very, very small business. They did not necessarily know what they were doing in the beginning but, over time, they put a lot of skin in the game and they worked very hard on their websites. And those people end up becoming some of the best affiliates. So, when people want to come to me and say, “Well, I have such and such website, but I am going to build it out someday” or those kinds of things, I am like, “Okay. Well, let’s go do that first and let’s see what we have here after you have really put some more effort into it”; because, once people really put the effort in, then that is whenever they start to strategize and understand the business, and it just helps build a stronger partnership. Michael: Definitely. Okay. So you are looking for real publishers. People that have domain names and websites setup that are continuing to develop those and drive more traffic to them so that you can get more conversions and payout more. Michael: Do you have any success stories that you can talk about, Stacy, without giving any names or websites? Can you say that a customer came on at some point – three or two years ago – and they implemented some of the advice that you had provided, and today they are earning this much per month on average? Stacy: Yeah. I do not know if I would necessarily say they are earning a certain amount, but I think there have definitely been some publishers that maybe have experience in a certain industry. Like maybe they know how to market insurance products, but they did not really know how to have an affiliate website for insurance. So, I had a publisher a few years ago, that was the case, and I said, “Look. There is a lot of opportunity in this space. You have got some great domain names. Your designer really knows what he is doing. I think you would do well buying media” and so, then he started to learn how to buy the media. And after that, he really grew the business and then we have been able to develop a strong partnership as I brought on new products to offer. And he has tried multiple things that I have been working on just kind of based on the principles of having a good domain name and having great design. And then marketing can kind of come second after that. Michael: Yeah. Excellent. All right. Final question for you, Stacy. You mentioned in our pre-interview that advertisers – the credit card companies – are looking for something in the future that is different than what has been offered in the past or that is offered today. Can you give a scenario that might fit that statement? What kind of new affiliates are you seeing coming into the market and how are they changing the way that credit card offers are being presented? Stacy: Yeah. I mean I think that early on in the affiliate business there was the opportunity for a lot of guys to just go out there and get a lot of volume. And the advertisers were like, “Great. There is all this volume. Let’s start paying for it”, but now the focus has shifted a lot to quality. So, a lot of affiliates have thought of creative ways to filter credit cards, for instance, or to show people the right credit card based on what the previous interactions were on their site or before they even got to the site. And what CreditKarma has really done, and we produce some of the really best quality leads, I think, for some of the issuers is because we give a lot of information about our credit cards. We give the cardholder reviews. Some of the cards have over forty or fifty reviews; and that is valuable to the consumers. So, we give that. We also give the average approved credit score on each card and lowest approved credit score on each card. So, those things are really what is kind of changing the way that people go and shop for affiliate products. And I think there is going to be more focus on that in the future. Finding creative ways to really show people the offers at the right time and in the right way that helps them make that decision there without leaving and going back and doing another search. Michael: Definitely. That makes perfect sense. If you have a follow-up question, please post it in the comments below and we will ask Stacy to come back and answer as many as she can about affiliate marketing, about credit card offers, and about CreditKarma. And if you would like to follow CreditKarma.com, you can do so on Twitter at @CreditKarma and then, they are also on Facebook at Facebook.com/CreditKarma. Stacy Wakefield, Director of Affiliate Marketing at CreditKarma.com. Thanks for coming on the show, sharing your knowledge about affiliate opportunities at CreditKarma, and thanks for being a DomainSherpa. Stacy: Thank you, Mike. I appreciate it. Thanks Michael and Stacy for the interview, it gave some great information about the online credit market and affiliate marketing. Great article. I am a current subscriber to Credit Karma and although I was skeptical when I first signed up, I was pleasantly surprised when I started getting credit scores and credit status updates every few weeks or whenever something changed within my TransUnion credit report. The information looks a bit cluttered but once you get used to it it’s not so bad. I just applied for their affiliate program and am hoping to be approved as I will be blogging on Credit Karma’s services withing the next couple of weeks. Michael, CreditKarma.com links in your post need to be fixed. Thanks, Sameh. They’re fixed now. I appreciate the notice. this is a great interview and an awesome business model to uncover! Thanks, Stephen. It was thanks for a reader of DomainSherpa that we interviewed CreditKarma. Great interview again Mike. Does creditkarma accept affiliates from outside the US who have sites targeted at a US audience? Good interview, Michael and Stacy. I tried to sign up for Credit Karma, but a full SSN is required for registration. I thought only the last four were required. Great interview and find. This may fit with a site that I’ve been contemplating developing. Stacy seems like she’d be great to work with, but clearly I have some work to do to drive some targeted traffic before I can form a business relationship (great question, Michael). P.S. Michael, I’d like to see more “affiliate reviews” like this so I can figure out which ones are the best for me. It’s really difficult to tell just from their sites, but reading through your transcript in 15 minutes makes a world of difference!